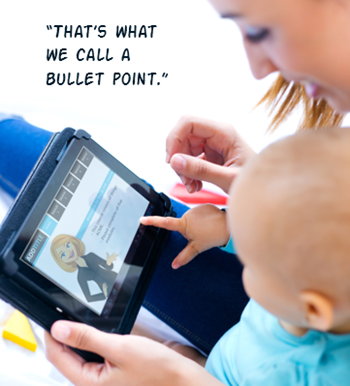 To share elearning courses via a learning management system or Articulate Online is common. However, sometimes getting access to an LMS isn’t easy, especially if you want to share elearning courses that are quick prototypes or demos to solicit opinions. You definitely don’t want to fill out requisitions and wait for your LMS administrator to send you a link. Here’s a quick tip before we get started: most of the solutions give you long links with a lot of gibberish. They look confusing and may break when sharing via email. In that case, it makes sense to use a URL shortener to get a shorter link. 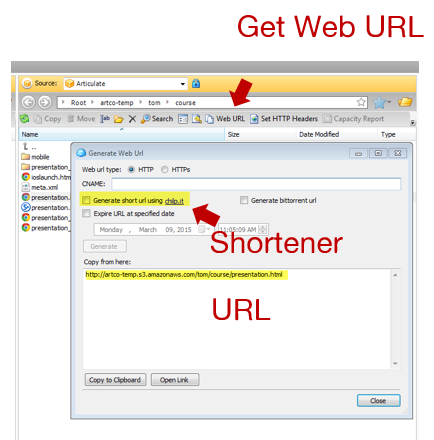 Google offers a link shortener, bit.ly is a popular one (and you can customize the link), and if you use Cloudberry (referenced below) there’s a link shortening option when you grab the web URL. This free solution only works if you use Articulate Storyline or Studio ‘13. It’s an easy way to upload your course and quickly get a link to share. Tempshare provides a temporary link and it only lasts about 10 days so it’s not a permanent solution. Drag the .zip file to the Tempshare site. The course is uploaded and you’ll get a temporary URL good for a few days. Share the link. Again the link isn’t permanent and it can’t be overwritten. If you make changes, you’ll need to repeat the process. I like Tempshare for its simplicity especially because I don’t have to open up other apps and load the course on a different site or LMS and then mess around to get the link. It’s just a simple drag and drop and then paste the link. Amazon S3 is a better solution than Dropbox and Google Drive because the files will play as intended. It’s the method I prefer and the one I use to host the content I share for this blog and in the elearning community. Check out this post for more detail: How to Share Course with Amazon S3. Download and install Cloudberry Explorer (freeware). Drag and drop your files from the desktop folder to Cloudberry and they’ll get uploaded to your online folder. There are other applications that work, so if you don’t want Cloudberry do a search and find one you do prefer. Create an Amazon S3 account. You need an account. Since it’s a fee-based service, you’ll need to provide real information so they can authenticate the account. You’ll also need to provide a credit card number. Again, you probably won’t exceed the free tier and if you do the charges are going to be miniscule. Locate your access key. 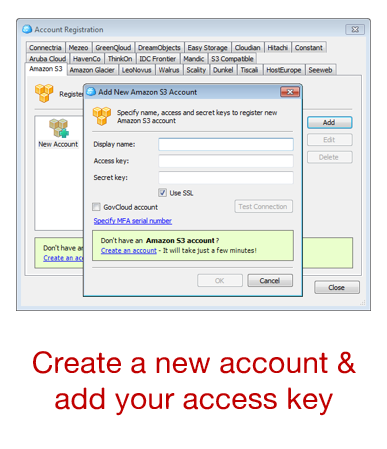 Amazon S3 provides an access key. You’ll find that under security credentials. You’ll need those to add your account to Cloudberry. Connect your Amazon S3 to Cloudberry. Once connected you’ll be able to create folders and move your course files into them. It’s as simple as dragging them over. Get your web URL. Once the files are uploaded to Amazon S3, right click on the .html file and get the web URL to share. Shorten the link. You can shorten the link inside of Cloudberry or use your own preferred method. Amazon S3 also lets you control viewing permissions and set expiration dates. It does take a few steps to get the account set up, but in the long term it’s a better solution than Google Drive and Dropbox, especially if they make changes to how files are shared. If you’re doing professional work or building a portfolio, then this is probably the best option because it’s a solution directly tied to your brand. Get a domain name. The first step is to get your own domain. There are plenty of web services to do that and the cost is relatively low for a domain and hosting. A simple hosting plan may only cost $5-$10/month. Create a site. You’ll need to create a site. WordPress is probably the easiest solution. Most of the service providers have WordPress and other tools already loaded so it won’t take much to get up and running. Be careful of site builder solutions since they typically don’t offer an easy way to upload and store your course files. Load the courses on your site. I use FileZilla (freeware) which lets me easily upload and manage my content. You can still use Amazon S3 (like I do for the blog here) and add the URL to your website text. Share your link. One of the benefits of using your own domain is that the link is always tied to your site and a great way to get people to look at what you do. Dropbox is a great product and makes sharing files super easy. 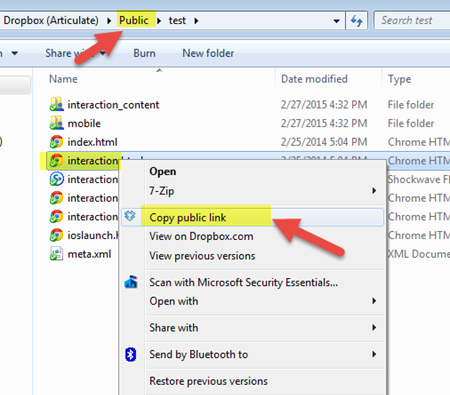 There are two ways to share your published courses for viewing in Dropbox. This first method assumes the person you’re sharing with has a Dropbox account. Put your course files in a folder and share the folder. The end user gets the folder downloaded to their Dropbox account and can access the published folder from their computer. They just need to double click on the .html file to launch the course. This is fine if the person has a Dropbox account. If they don’t have one, they can open an account. But that may not be an ideal solution or option for some. This solution is similar to the Google Drive version because all you need to do is share a URL link. However it requires a “public” folder and only works for those who have a Dropbox account prior to October 4, 2012 or those who have a Pro account. Place your published course folder in the Dropbox public folder. Right click on the .html file and select copy the public link. This will give you a URL you can share. Shorten the link as mentioned above for a cleaner link. WARNING: For the most part Google Drive and Dropbox do a decent job of sharing published course files. However, they’re not designed to deliver elearning courses and often the load time is slow or you may have some issues with the content playing the way it should. That’s something to keep in mind because if this is for client work, you want to give the best experience possible and you may not get that with Google drive and Dropbox. Change the launch file in your published course to index.html. For example, in Storyline you get a story.html. I duplicate it and change the duplicate to index.html. Create a folder in Google Drive and make it public. Add your published course folder to the public Google Drive folder you created. The folder gives you a long list of characters. Copy those. Share the link for others to see. There you have it—five four easy ways to share your elearning courses. Again, I think for the money and performance, the Amazon S3 option is probably best. What do you do to share your elearning courses (assuming you don’t upload to an LMS)? Great summary Tom. I’ve started using Google drive as I couldn’t get my Dropbox to work and am now sharing via my own site. I always wondered about the amazon solution. Sounds cool. I’m going to check out out! Thank you SO much for this post – I didn’t know about Tempshare previously, but it will really come in handy during the draft phases of my course design. Thanks so much for sharing! When I don’t want to deal with the LMS and need to share with stakeholders or the SME, I share with SCORM cloud. I usually only have a couple of people to share with, so I can still do that with a free account by a private invitation which adds them as “learners”. Every once in a while, I’ll go in and delete “learners” that are not currently part of a project, to keep me from reaching the max for the free account. It also helps to see what assessment questions they miss and how much time they spend reviewing. This is great for sharing eLearning content. I need something similar for sharing eLearning tests, e.g., tests created by Quizmaker. Are there any free/inexpensive ways to make online tests available and have the results of the tests loaded into a database to track who has taken and passed the test? We have an LMS “in the works” so not ready to accept content yet. We use our intranet using SharePoint to host our content. It works great aside from the fact that we can’t really track results easily. @Clark: some people use Moodle which can works with SCORM. It’s opensource. You’ll get more detailed responses in the community. I’ve met some people who’ve had the SCORM content transfer to a database. When using TempShare, is there a way to get the sound to play? For example, MP3 narration files already uploaded into the presentation. Thanks! @Maddy: the course should play as intended. If it’s not, jump into the community and someone can help. Thanks, Tom! I hadn’t heard about the Amazon solution before, so I’m going to check that out. I currently use a combination of Google Drive and TempShare when I am working on a project and need to share with someone that doesn’t have Articulate software. We have an LMS, but as you mentioned, it’s usually too much of a hassle to have the LMS Admin create a spot for the course in the timeframe I need. We are moving to a new LMS soon, so I’m hoping that will help reduce the reliance on an admin, but we’ll see! Thanks to @axonify for sharing this tweet post. I am slightly certain I’ll learn lots of new stuff proper here! Thanks Tom. Another good one is Box. What about using GitHub Pages? You can easily create a website to demonstrate your published Storyline output as well as add the Storyline file itself. Since GitHub is a software repository it also makes it easy to track versions and document changes. @Eric: didn’t realize that you can do that with GitHub. Good solution. @Eric: I haven’t done much with GitHub and quickly put this demo course together. Only took a few minutes. Thanks for the heads up on this. I’ll add it to an upcoming post. I would like to thank you for sharing such a well detailed post. It’s very helpful. Keep sharing. Excellent way of telling, and good post to take information regarding my presentation subject matter, which i am going to present in academy.